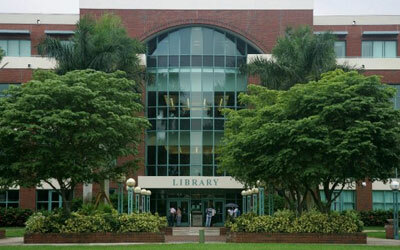 More than 5,000 students take classes at FAU's second-largest campus. Conveniently located (central Broward County) with Broward College as part of the South Florida Education Center, FAU Davie offers coursework in 30 degree programs through the colleges of Arts and Letters, Business, Design and Social Inquiry, Education, Nursing, and Science. The campus features more than 300,000 square feet of labs, classrooms and faculty, staff and student offices. It also hosts the innovative Teaching and Leadership Center and is the base of operations for FAU's Everglades research and restoration efforts.